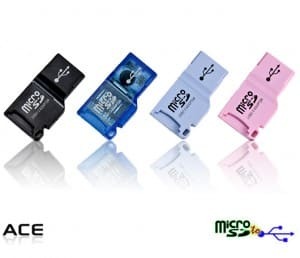 Click this link to visit their site and you’ll be able to request a Free MicroSD USB 2.0 Adapter. Just click “Buy It Now,” They’re including free shipping and no credit card info is required. It took me about 20 minutes to get the connection to go through.. I need and want one please! Hopefully it will let me if it does SWEET! I’ve been looking for one of these!! Thanks so much! I love getting free samples and testing them before I run out to buy them!! Than You! I had a hard time getting it to conform, but I think I got one. Thank you. My daughter tried and it will not go submit. I can really use this. Thanks for offering. I love 1saleaday! Ihave gotten a lot of cool freebies from them. This will make things easier to get things onto my computer. Thanks! I would love to have a nice Usb Adapter thank you so much!! and God bless!! yea i got mine thanks for the deals..!! Can’t wait for my MicroUSB Adapter!! Everytime these deals are posted for 1saleaday, I always get BRB , please check back in a few minutes….. its busier than a pub in Ireland lol! Does anyone else get this? I check back all the time and I cant even pull up a website, even at 3 am! Refresh your page. I have never had problems with this website but have on others and refreshing often works. Thank you! I can’t wait to use it. Well my wife said she’d need an micro sd card for her job but she’d have no way to read it. Thanks to you all when we get the micro sd card now my wife will be able to use it to the fullest… Thank You! I’m so bummed I missed it. They’re all out! right on i will use this a lot!! So wanted one of these! Pink especially! I can’t believe it has expired already! I ordered one of these but never got it.